Our cancelation policy in groups will be in 1 week in advance. In case of no show we have the right to charge the first 3 nights of the total grup booking. 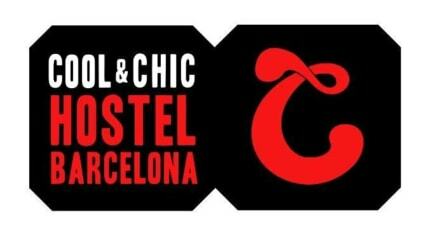 Thank you for choosing Cool & Chic Hostel during your visit in Barcelona! We are pretty confident that you will have a good time and you will enjoy your stay with us. Be aware that we are not a party Hostel and our aim is the comfort, security, interactionof all our costumers. As a group we will do 1 check in and we would need all the passports of the people belonging at that group. We will ask for a 10 key deposit per person. Thank you again for choosing us!!! Cool & Chic Hostel is a new concept of youth hostel in Barcelona. The hostel has been created by two young friends, with entrepreneurial spirit and passionate travelers, who after traveling all over the world have decided to offer in Barcelona what they would have liked to encounter during their adventures, putting it all together in an innovative product that will satisfy the most discerning traveler. At Cool & Chic Hostel you will find a quiet and relaxed atmosphere ideal for chilling after a long day of sightseeing in Barcelona. 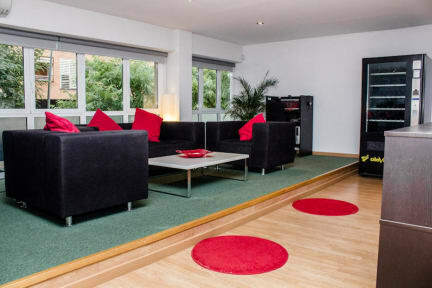 In the warm and exclusive living area you could share experiences with people from around the world, or you can just relax while watching the latest Hollywood blockbusters on the big screen TV available. Cool & Chic Hostel offers high quality accommodation with reduced rates in spacious shared dorms for 12 or 4 people, with comfortable beds and private lockers, or in more intimate double rooms with chic decor. The high quality modern bathrooms will satisfy all your needs, as well as the fully equipped kitchen. Furthermore, the multilingual Cool & Chic Hostel staff will offer you his experience in helping you to decide which is the best way to discover Barcelona, inform you what are the coolest night clubs in Barcelona at the moment, explain how to get tickets for a FC Barcelona match, etc. Dont let anybody tell you, just come and discover it by yourself.